Recent reporting on illegal tax evasion by the world’s second largest bank, HSBC, opens a window onto the pivotal role of Western banks in facilitating organised crime, drug-trafficking and Islamist terrorism. Governments know this, but they are powerless to act, not just because they’ve been bought by the banks: but because criminal and terror financing is integral to global capitalism. Now one whistleblower who uncovered an estimated billion pounds worth of HSBC fraud in Britain, suppressed by the British media, is preparing a prosecution that could blow wide open the true scale of criminal corruption in the world’s finance capital. 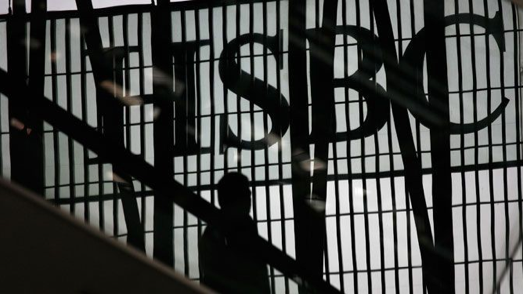 Following revelations that the Swiss banking arm of HSBC — the world’s second largest bank — was engaged in massive fraudulent tax-evasion relating to assets totaling $100 billion, Peter Oborne dropped an unexpected bombshell. The veteran journalist exposed how one of Britain’s leading national broadsheets, The Telegraph, refused to cover the HSBC scandal to protect its corporate advertising revenues. The increasing encroachment of corporate power on The Telegraph‘s editorial decisions was among the factors, Oborne said, that led him to resign from his position as chief political commentator at the paper. But the latest HSBC scandal, and The Telegraph‘s belatedly selective reporting of it, barely scratch the surface of the enormous power wielded by Britain’s biggest bank at the expense of the British public. The scale of tax-evasion in the HSBC Swiss leaks case amounts to hundreds of millions of pounds. Another far worse case of HSBC fraud totalling an estimated £1 billion, closer to home and premised on the bank’s ability to prey on unsuspecting British shoppers, has been systematically covered up by regulators, police, law firms, the government and much of the UK media. According to whistleblower Nicholas Wilson, HSBC has been integrally involved in a fraudulent scheme to illegally overcharge British shoppers in arrears for debt on store cards at leading British high-street retailers. Without knowing, hundreds of thousands of Britons have been defrauded of a total of one billion pounds worth of money, reveals Wilson, a former debt recovery specialist who uncovered the crimes. And that’s just the quantity of illegal profiteering through debt recovery uncovered by one whistleblower at one bank. In 2003, HSBC bought HFC Bank, which had been charged by US authorities with predatory sub-prime lending across the country. By acquiring HFC, HSBC took on the bank’s debt recovery business on behalf of leading British high-street retailers relating to the use of store cards, including B&Q, Dixons, Currys, PC World, Furniture Village, among others. That year, under the mantle of its new ownership by HSBC, HFC also acquired the store card business of the John Lewis Partnership, the reputable department store that also owns supermarket chain, Waitrose. The store card debt recovery work for retailers like John Lewis was operated on behalf of HSBC/HFC by two firms of solicitors, Weightmans LLP and Restons. Nicholas Wilson, who was then head of debt recovery at Weightmans and had acted for John Lewis for 25 years, discovered that both Weightmans and Restons added so-called “collection charges” of 16.4% to the store card debt they were collecting on accounts that were in arrears — possibly for as long as 20 years. Charges would range from anywhere between £500 and £5,000. The addition of those so-called “collection charges,” though, was thoroughly illegal. Rather than charging HSBC for its debt collection work, the solicitors were with the bank’s approval arbitrarily adding these “contingency fees” to the debt owed, which they took for themselves, in flagrant violation of the very consumer credit agreements that they were supposed to be collecting on. Those credit agreements did not allow consumers to be charged such fees. No sooner had HSBC acquired John Lewis’ store card business through its subsidiary HFC, the illegal charges that were already being applied to so many other retailers were added to John Lewis’ accounts. Despite repeated reminders from Wilson about their illegality, his complaints were ignored. By 2006, Wilson could no longer stomach the fraudulent fees that were being applied to accounts handled by HSBC for retailers like John Lewis and many others. As many as 600,000 people, he estimates, were being defrauded. He went to the Law Society and blew the whistle. Weightmans then made Wilson redundant. The Law Society oversaw a mediation process between Wilson and HSBC, in which the Society eventually concluded that the solicitors had no right to charge consumers the excess fees. Neither Weightmans nor Reston solicitors responded to requests for comment. Wilson’s tireless efforts to expose HSBC’s £1 billion fraud, at considerable personal expense to his own health and well-being, have been systematically stonewalled to this day. 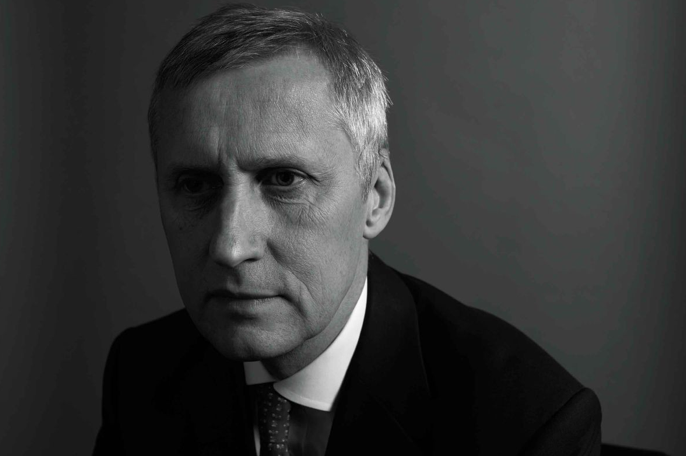 After being made redundant, Wilson wrote to the Ministry of Justice (MoJ) to obtain copies of all the claims that Weightmans and Restons had made against debtors, which are obtainable under Freedom of Information. He wanted to obtain as much documentary evidence as possible about the fraud. But the MoJ concocted a questionable loophole to avoid handing Wilson the information. Eventually, in November 2010, the Office of Fair Trading (OFT) responded to Wilson’s campaign by issuing an order against HSBC/HFC demanding that it either discontinue the collection charges, or amend the consumer credit agreements to transparently incorporate them into the terms and conditions. HSBC eventually stopped the fraud, but nothing has been done to recompense consumers from the billion pounds worth of fees fraudulently collected. Last month, Conservative MP Jess Norman questioned FCA chief Martin Wheatley in parliament at a Treasury Select Committee hearing, on its apparent collusion with HSBC in dismissing Wilson’s disclosures of the fraud conducted against British consumers. “Well, I am speechless,” said Jesse Norman, clearly taken aback. A spokesperson for HSBC declined to comment on Wilson’s allegations of fraud. The full-scale of the fraud targeted at consumers by banks in the name of debt recovery is unknown. What is known, is that such practices have happened in different ways elsewhere, and could be continuing with impunity in forms that are routinely concealed with the collusion of regulators. The biggest victims of such fraud are those with low-income. HFC’s other businesses, for instance, included a personal loan scheme, which ran through about 125 branches at retailers up and down the UK, but often in some of the poorest areas. I have also seen very similar reports from consumers being pursued by debt collection agencies on behalf of leading British companies, where large fees are unilaterally added on top of the debt payment. Most disturbing of all, the story of HSBC’s fraud against British consumers has been systematically ignored by the entire British press. In some cases, purportedly brave investigative journalism outfits have spent months investigating the story, preparing multiple drafts, before inexplicably spiking publication without reason. To date, the only mainstream coverage Wilson has received was a brief appearance on BBC’s The Big Questions. That is not for want of understanding the story. The full list of media organisations that have investigated, then spiked, Wilson’s story, despite its unprecedented importance and public interest value, includes BBC Panorama, BBC Newsnight, BBC Moneybox, BBC Radio 5 Live, The Guardian, Private Eye, and most recently, The Sunday Times. “All of the major publications and broadcasters live in constant fear of being sued by City of London firms with deep pockets and aggressive panels of lawyers,” said Joel Benjamin, campaigner for Move Your Money UK. The exposure of HSBC’s fraud in Britain could fundamentally jeopardise both the bank’s domestic and US operations. The threat of legal action is only one part of the explanation for the reluctance of the British media to pursue such critical issues. The other dimension is that HSBC has gone to great efforts to capture as much of the media as it possibly can. 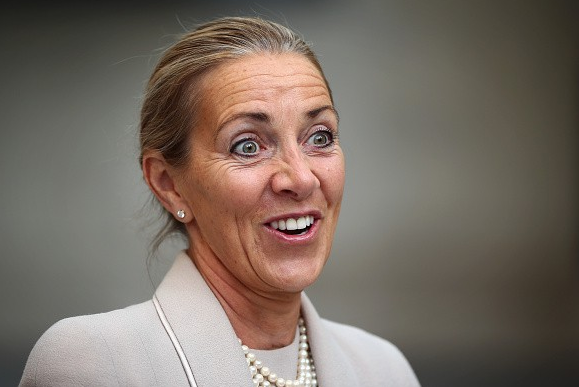 In August last year, HSBC director Rona Fairhead was appointed as chair of the BBC’s board of trustees. Fairhead is currently chair of HSBC’s North America Holdings, and was chair of the audit and risk committee when HSBC was fined by US authorities for money-laundering. Some of the fraud exposed in the Swiss leaks occurred during her watch on the committee. Before her government nomination to the BBC, Fairhead was appointed a British Business Ambassador by Prime Minister David Cameron. Prior to that, she had been a non-executive board director for the UK Cabinet Office under the coalition government. As former BBC newsman and Radio 5 Live executive Bill Rogers reports, Fairhead owns a total of some 76,254 HSBC shares, collectively worth an estimated £436,000. Over the year, she earned £494,000 in fees and £19,000 in benefits from HSBC. The Guardian, in contrast, has loudly and triumphantly congratulated itself for reporting on the HSBC Swiss bank scandal despite the bank putting its advertising relationship with the newspaper “on pause.” Yet the newspaper has refused to cover Wilson’s story exposing HSBC fraud in Britain. Why? Here’s something you won’t read in the Guardian. During the Treasury Select Committee meeting on 15th February, it emerged that the newspaper that styles itself as the world’s “leading liberal voice” happens to be the biggest recipient of HSBC advertising revenue: bigger even than the Telegraph. HSBC’s “partnership” with the Guardian Media Group has thus played an integral role in enabling the Guardian‘s US venture to maximise its revenues, and expand its work. I have a lot of respect for Jones, who is doing important work, but his assertion here is untrue and misleading. The Guardian is not owned by a trust at all. In 2008, “the trust was replaced with a limited company” that was accordingly re-named “The Scott Trust Limited.” Though not a trust at all, but simply a profit-making company, it is still referred to frequently as ‘The Scott Trust,’ promulgating the widely-held but mistaken belief in the Guardian’s inherently benign ownership structure. The new company purports, like many other corporate entities, to be guided by a range of commendable values, including the task of maintaining the Guardian‘s editorial independence. The problem, of course, is that the Guardian functions under the same sort of corporate structure as any other major media company. The chair of the Scott Trust Ltd. board is Dame Liz Forgan, who has repeatedly called for the financial sector to contribute more to the arts. Two years ago, her attitude to the sector was revealed when she described government tax-cuts to the wealthy as “helpful changes in the tax law,” but opined that the “huge new wealth created in the City” as a result was only problematic because it is not “finding its way to the arts.” British financiers, she suggested, should follow the exemplary model of Russian oligarchs, who “respect and value their culture.” It is difficult to understand how corrupt oligarchs with nothing better to do than lavish stolen wealth on obscene ‘artistic’ pursuits of concern to a tiny Russian minority should in anyway be considered a model for Britain, given the record levels of impoverishment in Russia (thanks in no small part to neo-liberal austerity), not to mention growing inequality in the UK manifest in demand for food banks which in 2013 had rocketed up by 54%. Conspiracy? Coincidence? Either way, the chair of the company that owns the Guardian, the biggest recipient of HSBC digital advertising revenue, is involved in facilitating HSBC contributions to two institutions. Apart from Forgan, the rest of the Scott Trust Ltd.’s board consists of ex-journalists and financiers, all of whom are shareholders in the Trust, which in turn is the sole shareholder of Guardian Media Group, and which is thus responsible for overseeing how the Group manages and re-invests Guardian profits. They must juggle the task of operating the Guardian “as a profit-seeking enterprise,” while securing its “financial and editorial independence” — goals that as the HSBC case illustrates, are ultimately mutually incompatible. Alongside Forgan is Anthony Salz, a senior investment banker and executive vice chairman of Rothschild, and a director at NM Rothschild and Sons. He was a key legal adviser to Guinness during the notorious share-rigging scandal, helped Rupert Murdoch form BSkyB, and was vice chair of the BBC’s Board of Governors before it was replaced by the BBC Trust. He was also lead non-executive director of the board at the Department for Education under arch-neoconservative Michael Gove. Until 2006, Salz led a highly successful 30 year career as a corporate lawyer at Freshfields Bruckhaus Deringer, where he was head and senior managing partner since 1996. One of Freshfield’s most prominent long-term clients is HSBC. In 2012, Salz’s former firm was appointed to advise HSBC on its record $1.9 billion fine from US authorities for money-laundering, regarding its UK law implications. Although that occurred well after Salz’s time, HSBC’s relationship with Freshfields had been consolidated under Salz’s tenure shortly before he left, establishing an advisory monopoly on much of HSBC’s corporate work in Asia, and displacing the rival firm Norton Rose as HSBC’s advisor of choice. Forgan and Salz are accompanied on the Scott Trust Ltd.’s board by Philip Tranter, a former partner and head of corporate law at the firm, Boyes Turner, where he led on major corporate transactions as well as banking and finance. Tranter is still a consultant for the firm. Among Boyes Turner’s corporate clients are most major British banks: including HSBC. Also on the Scott Trust Ltd. board is Jonathan Scott, chairman of Ambac Assurance UK, and a former director at KPMG Corporate Finance. Ambac Assurance is a UK subsidiary Ambac Assurance, which in turn is part of the Ambac Financial Group based in New York. Ambac played a major role in underwriting dodgy derivatives at the heart of the 2008 subprime mortgage crisis, and was implicated in fraud to save its skin as the crisis kicked off — but still managed to obtain a $700 million government bailout that even the Internal Revenue Service agreed was unwarranted. 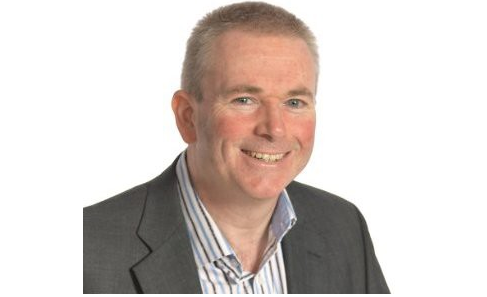 Andrew Miller, another Scott Trust Ltd. board member, was chief financial officer of Autotrader publisher, Trader Media Group, which was jointly owned by the Guardian Media Group and the giant private equity firm, Apax Partners. One director of an early Apax Fund, Apax Europe IV, that closed in 1999, is David Staples, who is currently director of what he calls “five large private equity funds managed by Apax Partners.” Simultaneously, David Staples is a director of HSBC Private Bank Ltd. Early last year, the Guardian Media Group sold its remaining 50.1% stake in Trader Media Group to Apax Funds. The Guardian was advised on the transaction by Bank of America, Merrill Lynch — and by Anthony Salz’s former firm, Freshfields, which also last year advised HSBC over a government inquiry into competition in the banking sector. The Guardian and the Telegraph are hardly the only newspapers with large, long-term sponsorship deals, and intersecting relationships, with HSBC. A query sent to the Sunday Times journalist preparing the spiked story received no response. Another publication that spiked Wilson’s story is Private Eye. The well-known muckraking magazine had pursued the story for months, interviewed multiple relevant sources, fact-checked documents, and had prepared a final, formatted draft that bar some copy-editing, was virtually print-ready. But as with other outlets, Private Eye unexpectedly dropped the story at the last minute with no explanation. Private Eye‘s editor said that he was “unable to comment” on the matter when asked why the story was spiked. HSBC’s effective immunity from meaningful sanction or accountability from government can be gleaned from disclosures in the US about the bank’s systematic complicity in criminal financing involving Islamist terrorism, drug-trafficking, money-laundering, among other things. As investigative journalist Matt Taibbi wrote in Rolling Stone, the $1.9 billion in fines leveled at HSBC by the US Justice Department was for “the largest drug-and-terrorism money-laundering case ever.” The settlement was a mere slap on the wrist, equivalent to “about five weeks’ profit,” that allowed the bank to completely evade prosecutions. Yet HSBC had engaged in aiding and abetting murder and terror on a grand scale — because organised crime is exceedingly profitable. Clients requiring criminal services can be charged any rate, allowing for literally fantastical scales of profit. Much of HSBC’s misdemeanours were documented in an extensive 2012 report by the Senate Permanent Subcommittee on Investigations. 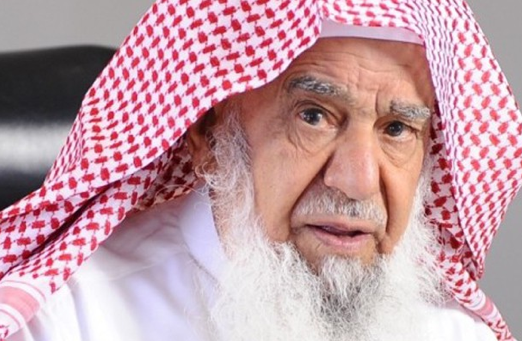 Amongst its damning findings was HSBC’s longstanding relationship with Saudi Arabia’s al-Rajhi bank, described by the CIA in 2003 as a “conduit for extremist finance.” US intelligence assessed that al-Rajhi founder Sulaiman bin Abdul Aziz was a member of Osama bin Laden’s ‘Golden Chain’ financiers of al-Qaeda, and had in that capacity pushed al-Rahji bank to find ways to avoid subjecting the bank’s charitable donations to official scrutiny. In 2003, HSBC was ordered by the US Federal Reserve to cease-and-desist its relationships with clients like al-Rahji. HSBC refused to do so, deceptively ending ties with al-Rahji bank and continuing relations with ‘al-Rahji Trading’ instead. Meanwhile, HSBC continued to engage dodgy clients, racking up dozens of repeated government warnings which it simply ignored. By 2006, the Bush administration canceled the 2003 cease-and-desist order, and HSBC almost immediately provided a billion dollars to al-Rahji. 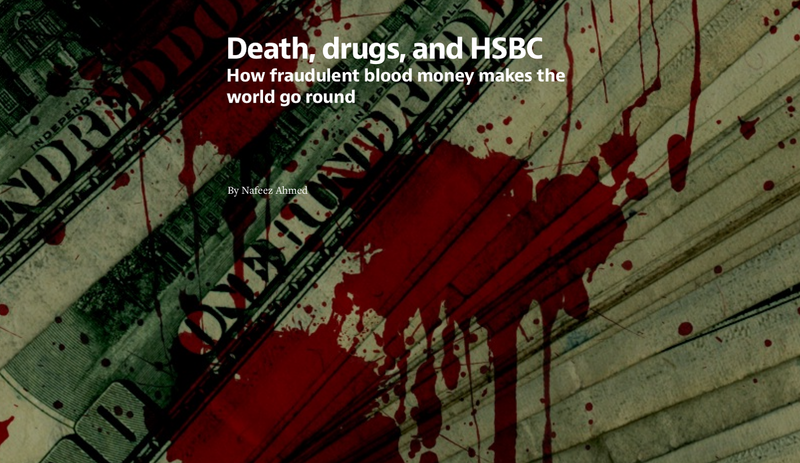 HSBC went on to launder money for Mexican and Colombian drug-cartels, criminal syndicates run out of foreign embassies, and countries under US sanctions like Iran and North Korea. Breuer was rewarded amply by Wall Street for his kindness. The following year, he landed a job at his former law firm, Covington and Burling, with a salary of $4 million. Though Breuer’s excuse seems facetious, it is also revealing. Governments are fully aware that the organised criminal economy is so huge, and so systemically entwined with the global banking system, that it cannot be shut down without fundamentally transforming both politics and economics together. Estimates by the UN Office on Drugs and Crime and the IMF suggest that organised crime amounts to around 3–5% of global GDP. Ten years ago, a Newsweek investigation described the “exponential growth in illicit trade across the world.” While global trade has roughly doubled since 1990, the criminal economy has grown tenfold. Organised crime, in other words, is one of the biggest growth sectors under neoliberal capitalism. “Since illicit trades can thrive only with government complicity, this means that traffickers are investing huge sums to gain political influence, and not just in their home countries,” wrote Newsweek. The underground criminal economy, writes Newsweek, is now “truly multinational, weaving together global networks of political allies and generating profits on an unprecedented scale.” As governments have continued to deregulate the economy, lower tariffs, eliminate currency controls and open up economies to foreign investment, the criminal economy and bank profits have flourished together. 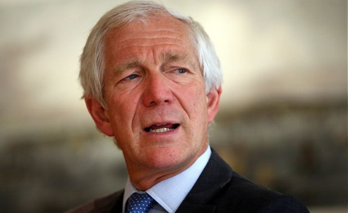 In 2013, MI5 chief Jonathan Evans joined the board of HSBC Holdings as a non-executive director after retiring. The year after, Evans was appointed to the board of the UK government’s National Crime Agency, a multi-agency partnership between the police, law enforcement, public sector and private industry to lead the fight against serious and organised crime, including of course financial crime. Ironically, on the pretext of filling a “skills gap,” one of the first things the NCA did upon replacing the Serious and Organised Crime Agency (SOCA), was sign up a force of unpaid bankers, accountants and lawyers — the very sectors harbouring the criminal economy — to ‘help’ the agency tackle cyber crime, drug-trafficking, fraud and corruption, among other crimes. In July 2013, career police officer Nick Lewis, a senior director at SOCA who led law-enforcement engagement with US authorities on organised crime and drug-trafficking in the Caribbean, left the force. By the time SOCA had transitioned into the NCA, Lewis had landed a job in HSBC Group HQ’s Financial Crime Compliance unit as ‘global head of law enforcement liaison.’ His job, in other words, is liaising with his former police colleagues. A cursory inspection of Lewis’ LinkedIn profile reveals that he is closely connected to, and has received multiple recommendations from, numerous incumbent senior law-enforcement officers at the NCA who should, in fact, be investigating HSBC, as well as active intelligence and law-enforcement officials from the US and Canada. Although Nicholas Wilson reported his allegations of fraud to British police, they refused to investigate. I asked the NCA why they had failed to investigate the colossal allegations of HSBC fraud, which one would think would be a major priority for a law-enforcement agency whose entire remit is that sort of crime. I received no response. Nicholas Wilson’s revelations on HSBC fraud in Britain constitute the worst and largest single case of banking fraud to have ever emerged in this country. They make the Swiss leaks case look like peanuts. And yet their cause is something apparently mundane and routine: debt collection for high-street retailers. The impunity with which the bank was able to carry out such fraud in cahoots with leading law firms, and the conspiracy of silence across regulators, law-enforcement agencies, and the media that has protected the bank’s reputation at home, underscores the truly colossal scale of corruption across powerful British institutions. Governments may well be too co-opted to take action. Our ‘free media’ may be too pathetically subservient to corporate power to give the story the space it deserves. Nicholas Wilson, who has blown the whistle on HSBC fraud at home, is not giving up. Last month, Wilson launched an unprecedented crowdfunding campaign to launch a private prosecution against HSBC and its lawyers for fraud and conspiracy to defraud. He is aiming to raise 100,000 pounds by 17th April to pay for barristers to take on the case. If Wilson’s campaign succeeds, and he is able to launch his prosecution, the results could be dramatic. HSBC has never been prosecuted for its crimes — and certainly not for the UK component of its crimes against British consumers, which most of the captured British media have suppressed. A successful prosecution against HSBC would not only help shut down the bank’s illegal activities in the UK and the US, but could open the way for citizens to bring a whole range of criminal prosecutions against dozens of financial institutions that, for far too long, have committed crimes against citizens in the comfortable belief that they are too big to jail. You can be part of that movement to hold corrupt financiers to account, by supporting this citizen-led initiative for a criminal prosecution of HSBC’s fraud here. Have you been a victim of debt collection fraud? Nicholas Wilson and I are teaming up to see if we can investigate the scale of debt collection fraud in the UK. Contact Wilson here with your story if you have been, or are being, defrauded by illegal over-charging. This exclusive is being released for free in the public interest, and was enabled by crowdfunding. I’d like to thank my amazing community of patrons for their support, which gave me the opportunity to work on this in-depth investigation. If you appreciated this story, please support independent, investigative journalism for the global commons via Patreon.com, where you donate as much or as little as you like.